The Western Conference standings are indeed looking wild right now. As the regular season is coming to a close, several teams are entering a crucial stretch that will determine their playoff fates and seedings. It’s safe to say nobody wants to size up the Rockets or Warriors in the first round, so securing at least the 6th seed should be acceptable for any of these teams. Currently, eight teams are in a rat-race for the playoffs with 4.5 games separating positions 3 and 10, and just 2.5 games separating 4 and 10. The Rockets and Warriors have both clinched playoff spots already, leaving the Blazers, Thunder, Pelicans, T-Wolves, Clippers, Jazz, Nuggets, and Spurs to fight for the last six remaining spots. The Lakers are the only other team that isn’t mathematically eliminated, but they may as well be as they are currently 7.5 games out. In this article I’ll make my case for how I predict the standings to finish in the West, including who will survive and who isn’t cut out for the playoffs this year. All eight teams are having great seasons, and unfortunately two of them are going to be left extremely disappointed. As much as they all probably deserve to be in the playoffs, that’s the harsh reality of the conference as it stands right now. The Blazers are one of the hottest teams in the NBA right now, having won 11 straight contests, including two convincing wins over the Warriors. 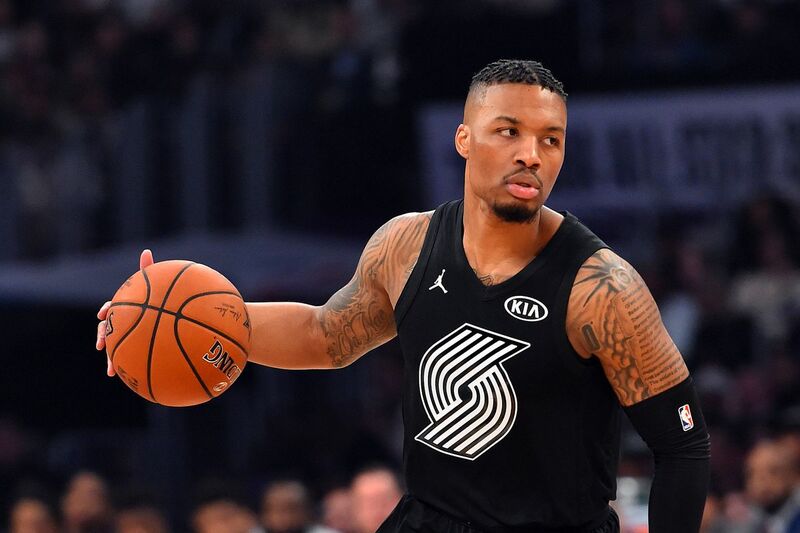 Damian Lillard is playing like an MVP, averaging 32.5 points per game during that stretch. C.J. McCollum is contributing at his usual level, adding 22.2 per game in the win streak. The “Bosnian Beast” Jusuf Nurkic has also averaged a double-double with 15.2 points and 10.6 rebounds per game. Portland has a complete team, one that has proven it can compete with integrity against some of the best in the league. They already have some breathing room with the 3rd seed right now, and if they continue to play hot, they’ll have no problem securing that spot for the playoffs. After struggling and underperforming for most of the season, it seems the Thunder have finally found their footing. They have won 7 of their last 10 and are riding a four-game winning streak. Russell Westbrook is still putting up monster stat lines, and it’s actually translating to team success now. However, the Thunder aren’t without their struggles. One of the season’s story lines has been the noticeable decline of Carmelo Anthony. The veteran is shooting just 40.8% for the year, and 38.4% since the All-Star break. Losing Andre Roberson for the rest of the season hurts their defense, but they’ve been able to absorb that hit. They have been unpredictable this year, but I think they can leg the regular season out and secure a decent playoff spot. They have the talent to do it, and Westbrook alone has too much willpower to let the Thunder fall out of the playoffs. In preseason, this was not a team we expected to be in a position to take the 5 seed. Yet here we are, and the Jazz are one of the hottest teams in the league. After a crazy 11-game winning streak and losses to the Blazers and Rockets, they are back on an 8-game winning streak. All that adds up to a ludicrous 20 out of their last 22, which makes them the second hottest team in the league over that long span (that shows you just how insane the Rockets’ hot streak has been). Rudy Gobert anchors a top-3 defense, which has helped solidify Utah as a consistent competitor on both ends of the floor. Joe Ingles and Derrick Favors are shooting lights out, each of them above 40% from beyond the arc since the start of the current winning streak. Ingles, by the way, is the NBA leader in 3-point percentage on the season at 45.1%. Donovan Mitchell continues to get buckets, averaging 21.0 points per game since the start of the 20-of-22 stretch. The Spurs are sitting in 8th place and have only won 4 of their last 10 games. Things are looking bleak for a franchise that hasn’t experienced any type of struggle in the last 20 years. For as long as I can remember, the Spurs making the playoffs has been as sure as the sun will rise. Their absurd streak of 18 straight seasons with 50 or more wins is also in jeopardy unless they manage to finish at least 11-2, which is no easy task for any team. All hope is not lost, though. Kawhi Leonard is expected to return soon, and Gregg Popovich is still the coach. Those two facts are always a favorable combination if nothing else. It might take some time to integrate Leonard back into the offense, but he will always be an elite defender who can immediately contribute in that area. Overall, the Spurs are more of a solid bet to reach the playoffs than some of the other teams who have more serious questions to answer. If Leonard is actually coming back for real this time and this isn’t another tease, the Spurs should be in good position to compete for the playoffs. With Jimmy Butler only available for a few games in April in a best case scenario, Karl-Anthony Towns and the T-Wolves are going to have their hands full. Unfortunately, I don’t think they can avoid a first round matchup with one of the two death spells. Since Butler went down, the T-Wolves have taken care of business against tanking teams, but haven’t done much else. However, there is hope after they exploited the Curry-less Warriors on Sunday. Towns dropped 31 points and grabbed 16 rebounds en route to a 6-point victory. Overall, this team is too talented to fall out of the playoffs, but Butler has to come back hungry and ready to compete for them to secure their spot. DeMarcus Cousins is out for the season, but Anthony Davis is playing so well in his absence that it might not matter. Since Cousins’ injury, Davis has averaged 31.7 points, 12.7 rebounds, 3.2 blocks, and 2.4 steals per game. Those are MVP level numbers for a team that has been thriving. 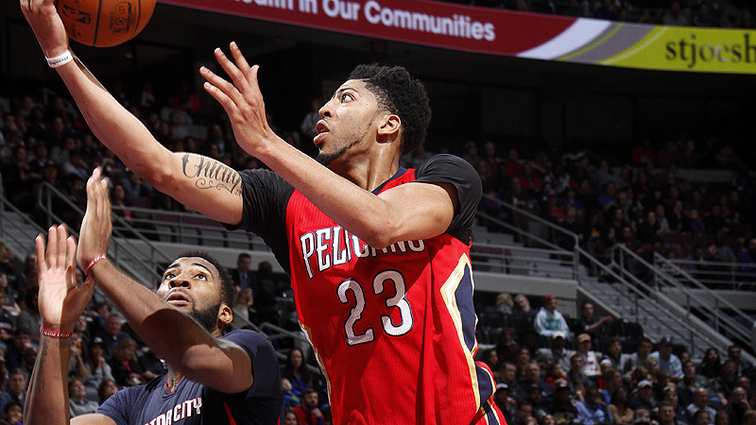 Anthony Davis is playing at MVP levels. Photo: B. Sevald/Einstein, NBAE/Getty. The only reason to exercise caution with jumping on the Pelicans’ train is that many of their recent wins have come against tanking teams like Phoenix, Dallas, and Sacramento. Nonetheless, a 10-game winning streak deserves some credit and they look poised to secure a spot in the playoffs. Of course, you could speculate on whether having Cousins would get them even higher in the playoffs and avoid facing Houston or Golden State. Regardless, I don’t see the Pelicans as a team that can realistically win a series this year regardless of whether they manage to reach the 6 seed threshold. Look for Jrue Holiday, who has been playing some of his best basketball lately, to step up if they do find themselves in a playoff series. Let’s start with the fact that the Nuggets are sitting in 10th and will have to climb out of a hole if they want to reach the playoffs. Secondly, the Nuggets haven’t been winning games lately. 5 out of their last 10 is not good enough with how hot other teams have been. Many of their losses have been close, but they have a tough test coming up with a stretch of road games. Nikola Jokic is the cornerstone of a top offense, but the defense is bottom-five in the league. Paul Millsap returning should alleviate that to some degree, but the stats haven’t reflected it. Their defense ranks 24th in the league since his return. Turning their struggles around on that end of the floor will be key to making a push to climb out of an expanding hole, which I still believe they are capable of doing. Expect them to be in the mix for the last few spots right down to the wire. The Clippers don’t appear to stack up with the teams around them, but to their credit, they have been playing good basketball lately. They have gone 12-6 since the trade that sent Blake Griffin to the Pistons. A balanced combination of scoring from Lou Williams, Tobias Harris, and Danilo Gallinari has powered the Clippers’ top-10 offense since the trade. However, they have a tough schedule coming up, and I don’t think their high octane offense will be enough to push them through to the playoffs. If they do manage to reach the playoffs, is Lou Williams the right leader for them to take down a Western Conference opponent? Conventional logic would say no. The Clippers are still good enough to get in, but the probability of ultimately winning a series looks slim. All stats courtesy of NBA.com.